Artiwise is an NLP and Machine Learning backed cloud-based text analytics platform. By using Artiwise, you can analyze whole textual data without knowledge of specialties by a short amount of time. Companies analyzing customer experiences from different channels; they can make a big difference by shaping company strategies in this direction. Artiwise Analytics enables companies to understand their customers' voice and take the necessary actions. Artiwise Text analytics technology helps companies understand customer preferences, needs and approaches. Artiwise Analytics allows you to use Natural Language Processing techniques, such as root cause analysis, morphological analysis, English character correction, named entity detection, without the need to write code or technical development. 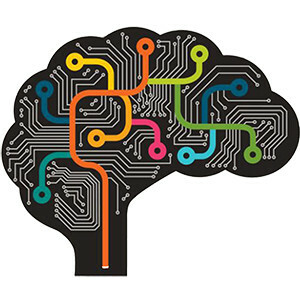 Artiwise Analytics offers up to 70% efficiency in your operations management by combining machine learning and natural language processing power. Artiwise serves as a pay-per-use model over the cloud. In this way, companies can easily see the return on investment (ROI) without the need for additional investment for their projects. On Prem installation is performed for companies with regulatory constraints and who do not wish to keep their data in the cloud. 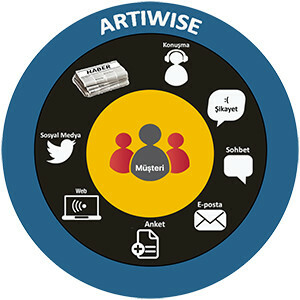 "We use artificial intelligence solutions provided by Artiwise instead of personnel strength to categorize the official advertisements and to evaluate the contents of newspapers and magazines by text analysis. The results we receive from the Artiwise text analytics services satisfy us and increase our confidence." "We are pleased to work with Artiwise during this period of rapid and radical changes in the sector. Our project has been successfully implemented through disciplined work, rapid response and solutions to the incidents, regular information meetings and effective project management." "As a result of the useful and effective work of Artiwise in the Roketsan Supplier Portal business, a product (software) has emerged in a short time. The firm's past experience and solution-oriented approach to the issue have been effective in the smooth running of the process. It is aimed to expand the existing cooperation with the company, which carries on similar studies with different departments of Roketsan."